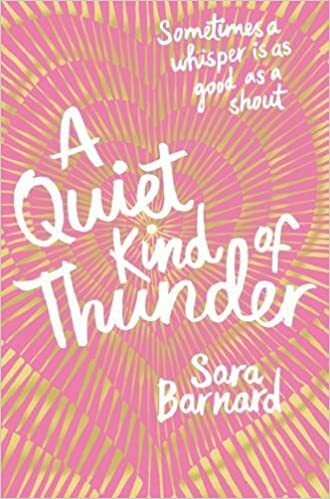 A Quiet Kind of Thunder: incredible, funny, heartwarming, charming. I fell for this book wholeheartedly. “Steffi doesn’t talk, but she has so much to say. Welcome to the world of Steffi: a selective mute who isn’t have the greatest time and Rhys: the deaf boy who changes all of that. I was lucky enough to have my request granted on NetGalley (which is incredible btw! 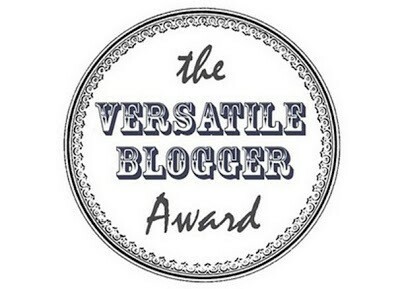 If you’re a book blogger/want to be a book blogger, get yourself over there!) and my wonderful friend Rachel told me I had to read it, so naturally it jumped to the top of my list. I fell in love with it immediately. Hello, my name is Steph (my best friend calls me Steffi, so I felt like it was shouting out at me!) so it instantly appealed. Characters: The characters are for me truly what make this story the incredible story that it is! It is mainly centred around Steffi and Rhys, with recurring parts for Steffi’s best friend Tem and Steffi’s parents. Steffi is a young girl who since she was young has been a selective mute. She’s kind of hidden in her own shell and has relied heavily on her best friend Tem to help her get through. I liked Steffi instantly. I connected with her, not just because we have the same name, but because some of Steffi’s inner-most thoughts are very similar to my own thoughts. She is loveable, brave and determined, everything an unsung hero should be. Rhys is the type of YA boy I love. He’s adorable, he’s sweet, he’s funny and he brings Steffi so much. He refuses to be halted by his deafness. I loved him. There’s no other way to say but I loved him. So much so I tweeted the author and asked where I could find one! He accepts Steffi for who she is and he is that kind of friend we all want. Tem irritated me at times, but we all have a Tem. We all have a best friend who we talk to all the time. She loves Steffi all the time. That’s what a friendship needs to be. Steffi’s parents – I prefered her dad to her mam. Her dad was much more relaxed about Steffi’s plans, whereas mam is much more highly strung. I liked that they were a realistic representation of what parents are. Parents worry, support, push and protect. Plot: I have never come across a story with a deaf character in (this is down to my own sheet lack of diversity in reading, I am working it!) so it was incredible to read how the author managed to get that across. After a while you forget that Rhys is deaf and that Steffi doesn’t talk, because as it becomes apparent communication is way more important than talking! I loved the story. It was so refreshing to read a YA book that is HAPPY. That has mostly happy moments. That brings some sunshine into your life. Without giving too much away Rhys and Steffi get close, they become each other’s ear to the outside world and eventually they both become reliant on each other. They both step outside of their boxes. They push each other. They are just adorable. I loved reading this story. I cried, obvs. It made my heart so happy to read such an amazing story of love, friendship, bravery and growth. I laughed, cried and fell in love. Cover: OMGGGGGGGGGGG. LOOK AT IT. Pinky red and gold. Yes. It’s totally the kind of cover you pick up from the bookshelf. It has total shelf appeal. Good work. So yes, I can’t wait for everyone to be able to read this! Have you read it? What did you think? Or are you eagerly awaiting the release? If you are, go check out Sara’s other book Beautiful Broken Things! Thanks to Netgalley and the publishers for allowing me to read the book early!